The first draft of a book which changed the world's attitude to evolution is available for the first time online. Papers which led to Charles Darwin's theory of evolution were previously only available to scholars at Cambridge University's library. The draft notes are among 20,000 archive items created by the 19th Century naturalist during his lifetime. 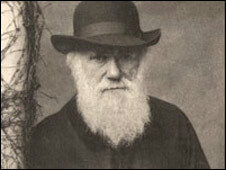 Dr John van Wyhe, a Darwin specialist at Cambridge University, said: "He changed our understanding of nature."